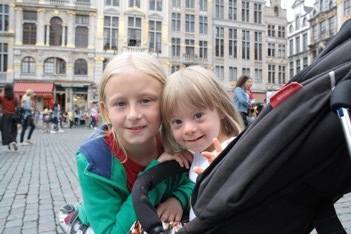 This blog post is part of our “Down Syndrome stories from around the world” blog series. Click the link to learn how to submit your story! I learned about Julian’s Down syndrome (DS) from his birth. I could not believe what had happened. I was shouting that it was a dream, that someone would wake me up. The first thought was that the world was over. The sense disappeared, hopelessness appeared – a black hole. I did not have knowledge about the down syndrome, there were no children / people with the DS around me. My opinion was shaped by images of documentary films about people with disabilities in nursing homes or children in orphanages. Only questions in my head, why? for what? But all the time I was thinking about Julian, whom they took on oxygen. I felt that in this black hole we are together. I am with my hopelessness and question marks and He – helpless, pink, quiet little boy with his extra chromosome. My husband learned about Julian’s trisomy a few hours later. He stayed with our kids home when I went for delivery. Although it was a shock for him, he did not show it. He said that we would live normally, as before. That Julian will have to chase us, not the other way around. I had a caesarean section (medical reasons). It was morning. I was the first patient on the operating table. The night was calm, everyone had good moods, they were joking. When the doctors took out Julian, there was silence. The nurses called for a neonatologist. The doctor looked at Julian’s fingers, hands, neck, eyes, toes and came up to me. She asked if I was genetic testing during pregnancy. Of course, I did all non-invasive (Invasive is done when the non-invasive ones go wrong). I was provided during pregnancy by one of the best ultrasound specialists in my city. All parameters of the child till delivery time were correct. Everyone was shocked. Sadly shocked. It’s as if someone is dead. They took him to the pathology because he had breathing problems. He also had an infection and had to get an antibiotic. I got strong sedation medications because my body was going crazy. I was on the verge of being mad with despair. No midwife would look after me. They were afraid that something would happen to me and they would not be able to help me. Fortunately, that a midwife was on duty, which I knew during pregnancy. When she took on this hopeless case, she did not know it would be me. She could not believe what I told her. She really wanted to give me faith. I started to believe that “someone upstairs” wanted Julian to be born. He hid all the symptoms and traces that could betray him before he was born. I was chosen to be his mother. And I have to face this task. The first reaction that I encountered was sadness and depression. At first nobody was happy with the birth of a child. Nobody congratulated. After the operation, the midwife helped me a lot, which kept repeating to me that it would be a good and loving child. I was lucky (again support and sign from above) because after the pathology, Julian’s main doctor was a pediatrician/geneticist who had a natural approach to him. She treated him normally, like a child. She gave me strength. She spoke matter-of-factly. She did not sympathize. She shared her knowledge and experience. 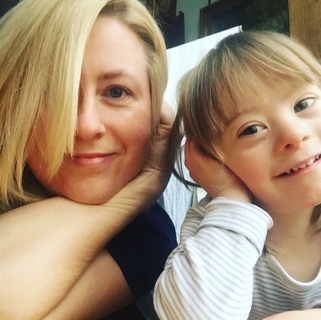 She gave hope that the world is changing, that children with down syndrome are born all over the world and that we – Parents write their future card. I felt motivated to act. Each of us is different and needs an individual approach. I expect doctors to feel in conversation. Small steps in how to introduce parents to a foreign world in the least painful way and give a light of hope. The reactions were mixed. Most often there was shock and disbelief. The first days were sad, almost everyone was crying. Total hopelessness. We decided to speak openly and honestly about Julian. At the beginning it was difficult to squeeze out the word down syndrome. It was easier and easier every day. We started the process of changes in our environment. Julian was still in the hospital, and his surroundings were being tamed and prepared for his coming. The best idea we could have! Julian is a special, extraordinary child. He has a lot of warmth and joy to live in. He has character and tests us every day. He loves to be in the field, among people. He does not like when someone next to him screams and is angry. When someone is sad – he comforts. Top three-year word? “No” haha. Julian loves to be between people. Travel, play with children on the square and with siblings. Now he loves to play with cars, dinosaurs. He tries his hand on his brother’s scooter. He loves music and dancing. Recently, he is always hungry and curious about new flavors. We have to watch him because he eats his portion and can steal from other plates. He loves to do housework with me. We do laundry together, we clean. Favorite activity: vacuuming. Older siblings should learn from him! I am very proud Momma. The working day starts dynamically. My husband and I are working parents, we have a lot of duties in the morning and little time. Music awakens us! Such to zumba, or aerobics. But instead of exercising, everyone is washing, dressing and preparing for breakfast. Sometimes we dance at the same time. We eat breakfasts together. Julian loves eggs, mini pizzas, cold cuts and red peppers. I leave my older children to school, and Julian goes with his dad to morning therapy classes or to kindergarten. Julian is in kindergarten until late afternoon. During this time he has time to play with children and daily therapeutic classes prepared according to his needs. His kindergarten (private) is one of few kindergartens in my city that can and wants to support children with the down syndrome. There are 15 children in his group, including 4 with the DS. On the way from kindergarten to home, we take siblings from school. At home, after returning there is always a happy chaos, because everyone wants to tell how it was at school, everyone wants to eat, and I have only two hands and I have not yet switched from work mode! In order to catch a moment of zen, children watch fairy tales. Julian watches a moment and comes to the kitchen to help me. For now, he does more mess, but he likes to be next to me. He cooks soup in plastic bowls and gives me a try. We eat dinner together with my husband, who returns home at the latest. Time for fun is not enough in the week, because we have to go up early, and older children have lessons to learn. After bathing, there is a moment to cuddle. Then teeth and sweet dreams. It is more interesting at the weekend because we spend it together from morning to evening. The city we live in is the capital of Poland and at the same time one of the largest cities. In my and in several major Polish cities, there are associations or foundations established by parents of children with DS, which try to support other DS families. There are also several foundations that support children with various disabilities. You can become the beneficiary of one of them, set up an account for which everyone who works in Poland can spend 1% of their annual tax. With this money, parents can buy (refund) medicine for their child, pay for medical examinations, private medical appointments and therapies. In addition to these institutions mentioned above, there is a group closed on FB, which gathers all Polish parents of children with down syndrome. We support and share knowledge and experience there. In addition to the main group, private groups for parents in a specific city are also set up. There we exchange opinions about therapies, doctors in our city. We also arrange meetings with children who are mostly at a similar age. In Poland, there is no unique system of therapy for children with down syndrome valid throughout the country. 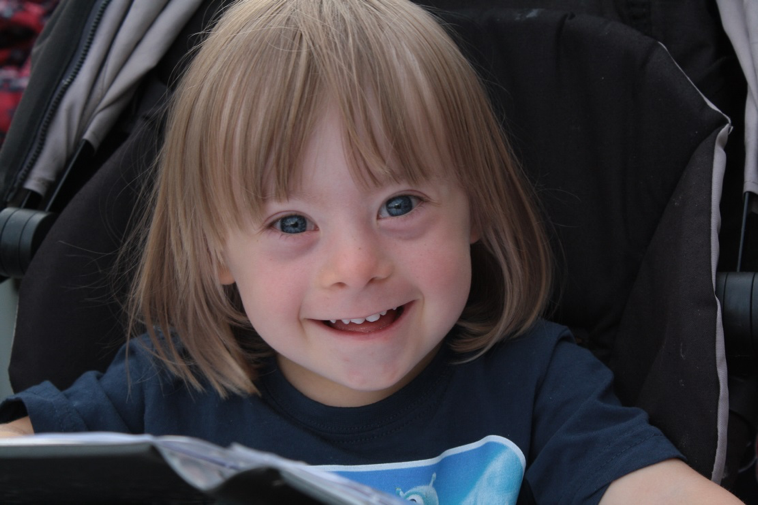 At the moment, there are few cities where the parents of children with the down syndrome work very hard for better preparation their children for separate living. In few cities, the state has early intervention centers for disabled children, which provides them with physical therapy (1-2h per week), speech therapy (1-2h per week) and psychological time until the child is 3 years old. Children demanding early intervention are increasing (especially from the autism spectrum, IS disorders), numbers of therapists and centers paid by the state are still the same. In addition to early intervention, you can also apply for state allocation of early development support. Such a decision is issued by the commission after the child’s psychological assessment. The decision authorizes the child to take 4 to 8 hours per month of physical therapy or speech therapy in units implementing this program. There are still very few of them and they are very crowded. Parents who can afford it (for example they have an account for 1%) choose the individual therapy in private therapeutic centers. Such centers prepared for the therapy of children with DS have been formed from centers created generally for disabled children. You can use paid for various forms of therapy, not only classic, but also neurologopedic, sensoplastic, micropolarizations of the brain, etc. Several of these facilities also offer a paid stays for children, where classes are conducted daily. The situation of state support has started to change since a year because the current government has attempted to support families and children with disabilities. It is a very expensive and long chang. Time will only show its effects. The state education system is not based on actual inclusion. There are “normal” schools, integration schools, and special schools. In integration schools the program for all children is the same. It is not adapted to children with down syndrome. The result is that if a child with DS copes in the first years (1-3grade) of the integration school, it is usually that over 3 grade must move to a special school. Special school lasts till 21 years old. There is a lot to do in this area. Since few years, private integration kindergartens have been established, where children with disabilities spend time with their peers and have separate therapeutic activities in the same place. For several years, there have been changes in my country in perception of people with DS. Children are born more and more. Parents grew bold and began to build and increase DS awareness in their surroundings. Also, public figures (politicians, artists) publicly boast their children with DS. Slowly people get used to the otherness. Social inclusion was initiated thanks to parents’ determination. Single cafes are created in larger cities, where the employees are DS people and with autism spectrum. We are determined to ensure the generation of our children and the next better start and greater chances to show the potential that is hidden in people with DS. We learn a lot, observe the world, care for the right diet and develop our children’s interests. We break barriers and blur the fear of other people. We say: whoever gets used to it, he is not afraid. I want to make a revolution! If only I had such power … Changes have already begun. I build people’s awareness by showing them that DS it is not scary. Julian helps me a lot because she is a great partner. I am counting on changes to be made by the government, because there is a lot of work and a lot of money is needed. Social inclusion of people with DS is very much needed. And although there are already cells, where individuals with DS work, it is still not enough. Change needs the education system that is to be flexible for children with DS, that they could learn with their peers as long as possible. Thanks for sharing Julian’s story with us (and the world!) To all of our readers, be sure to leave a comment and say hello to River! Would you like to tell your story? Click here to learn more about our “Down Syndrome Stories from Around the World” blog series! Julian is just precious! Thank you so much for sharing your family story. I hope you will continue to take small steps to bring about a “revolution”! I live in the city of Hurst which is in the state of Texas in the U.S.A. My oldest grandson is 15 years old and he has high functioning autism. When he was diagnosed as autistic at age 3 because he was nonverbal, we all grieved because he appeared to be so “normal” and met all of his milestones the first couple of years. He is absolutely brilliant in some ways but socially, he still has some trouble. With lots of therapy, he talks very clearly and sometimes we can’t get him to stop talking!! He really is a blessing to our entire family and being with him has taught all of us to be more compassionate and patient. Thank you for sharing your Julian with us! ALL of your children are beautiful! In America, we are breaking barriers of stereotypical thinking wrapped around people with intellectual disABILITIES. Inclusion in schools, employment, and independent/interdependent community living is a process that moves slowly but continues to move forward all the same. We are parents with like minds and hearts as you. All I can add is: Sto lat niej ziej, ziej nam! Please stay in touch. I will verify my comment as instructed. It’s important for parents to support each other world-wide.